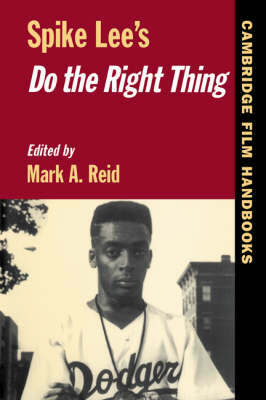 Spike Lee's Do the Right Thing brings together essays, specially written for this edition, that analyse this controversial film from a variety of methodological perspectives. Among the issues examined in this volume are the production history of the film, the use of music, and the urban sociology of New York in the 1980s. Collectively, these essays connect the inter-racial strife of New York as treated in Do the Right Thing with the contemporary social climate and racism in America. Also included are reviews of the film by influential critics, a large selection of production stills, and a complete bibliography.